Here is another card that we made at the Christmas class. 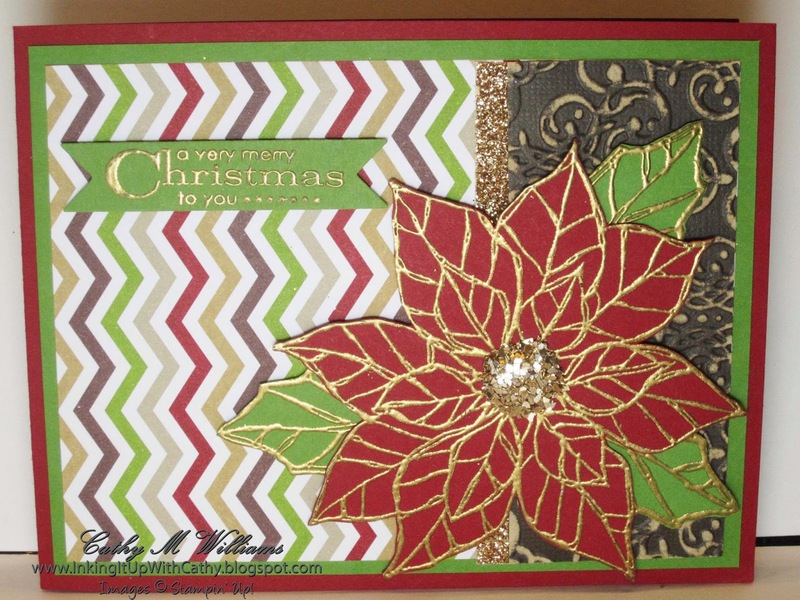 Here, we embossed using Gold embossing powder onto Cherry Cobbler and Gumball Green cardstock for the poinsettia and leaves. Early Espresso Core'dinations paper was embossed using the Lacy Brocade (retired) embossing folder. We used the Glass Stampin' Glitter in Champagne on top of a big glue dot. 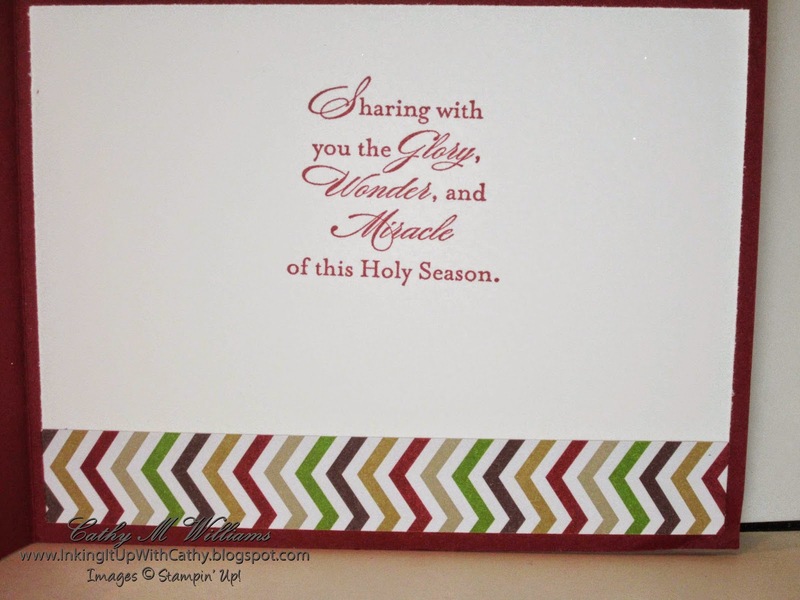 Finally, the sentiment was embossed and cut out using the Bitty Banners framelits.